Gingivitis can affect anyone at any age, although it is less likely to be seen in younger children. Mild cases may go unnoticed for some time and there may be no symptoms during the early stages of the disease. However, if left untreated, gingivitis can gradually progress, resulting in the destruction of the tooth attachment and the bone around the teeth. 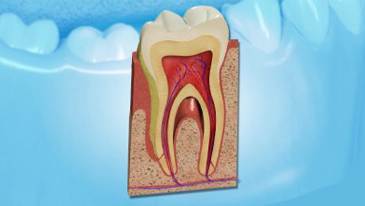 This causes the affected tooth or teeth to become loose. It is best to visit a dentist as soon as it is suspected that gingivitis is present so that treatment can begin promptly to prevent the condition from worsening. The dentist will carry out a thorough examination and will treat the condition. The dentist will also remove any other hardened deposits in your mouth (tartar or calculus) that may be helping the plaque to congregate, for example, the tartar that collects behind the bottom front teeth (incisors) and the outsides of the upper cheek teeth (molars). This tartar is plaque that has become hardened or mineralised by salts in the saliva. The process of removing these hard deposits is known as scaling and may be carried out using hand instruments or with advanced ultrasonic technology. The task is usually completed with a refreshing polish. This tartar is plaque that has become hardened or mineralised by salts in the saliva. The process of removing these hard deposits is known as scaling and is carried out using advanced ultrasonic technology.